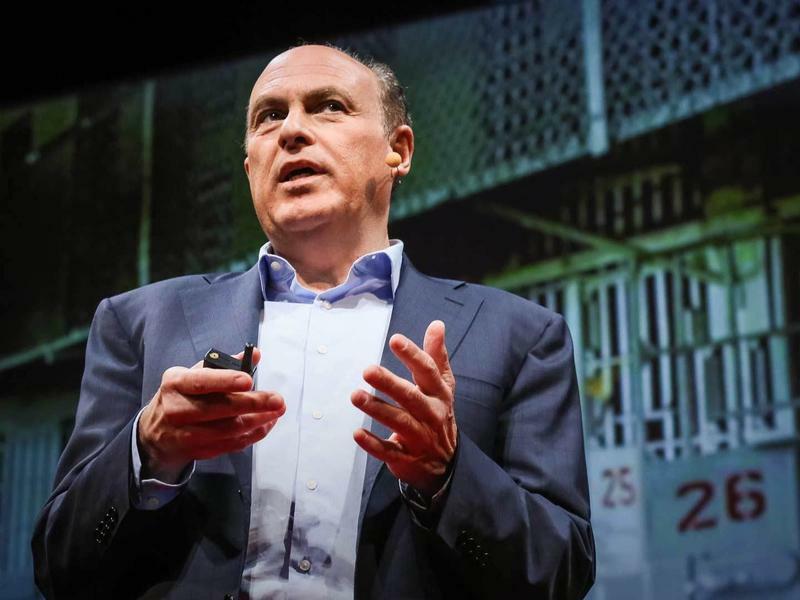 Baltimore grabbed the world's attention this spring when the death of Freddie Gray sparked an outpouring of emotion - anger at the police, outrage over the state of the city's neighborhoods and frustration that nothing ever changes. Out of all that has emerged a perhaps unexpected voice. LEANA WEN: Good morning, everyone. 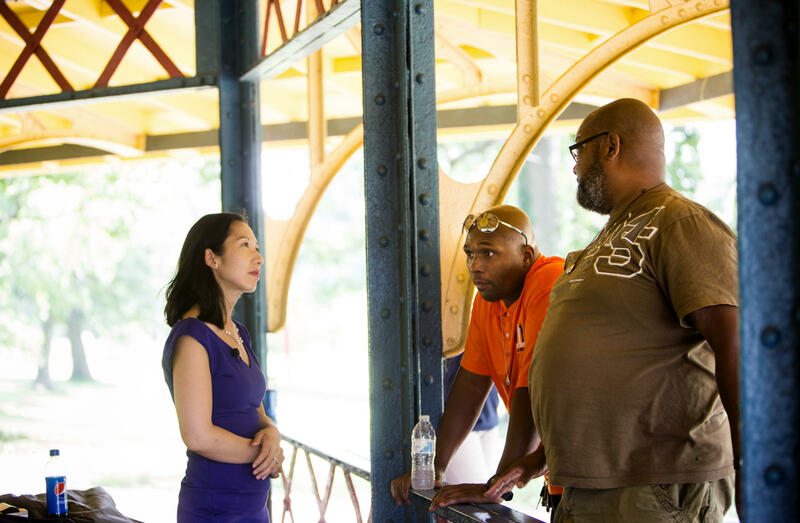 CORNISH: Dr. Leana Wen is Baltimore's 32-year-old health commissioner. 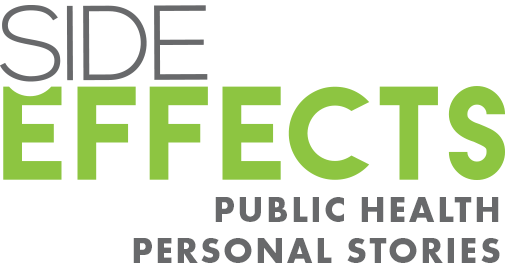 She's energized, confident and truly convinced that public health isn't just about inspecting restaurants or telling people to wash their hands to prevent the flu. Dr. Wen is among those who believe that public health can make a big difference in Baltimore, treating what most would consider problems for police - drugs and street violence. So in order to put that theory to the test, we're spending time with her - not just at press conferences and public meetings, but in the moments between. CORNISH: Andrea Hsu is our producer, and this is Lena Wen's audio diary. We asked her to record her thoughts and to talk about how things are going. And one of her first shares was about the pace of the job, how quickly things unfold. WEN: I'm used to fast-paced environments. I'm an ER doctor. I'm trained to work in environments that are high-intensity, high-stress. But nothing has quite prepared me exactly for this role because of just how unpredictable things are. CORNISH: Our story today looks at what happens when one of the department's flagship initiatives - a violence prevention program called Safe Streets - runs into trouble. WEN: I am recording this on the night of July 14, and it's been a long and challenging day. CORNISH: It wasn't supposed to be that way. The day before, she'd unveiled with great fanfare a 10-point plan for fighting the city's heroin epidemic. That morning, Dr. Wen headed to a TV station to talk about it. WEN: And while I was waiting for the interview to start, I received a call from a senior leader within the police department saying that there was something urgent. CORNISH: What she would eventually learn was that two Safe Streets workers had been arrested. Inside one of their neighborhood offices, police found guns, drugs and materials used in the sale of drugs - cutting agents and scales. It was a serious setback, as she made clear in her audio diary. WEN: This was disappointing and - and certainly not the news that we were hoping for. CORNISH: Let's take a moment to explain Safe Streets. The program hires ex-offenders, often newly released from prison, to go out in the streets and stop violence. They're called violence interrupters. They talk drug dealers out of fights and convince gangbangers not to retaliate. They don't snitch to the police. They don't carry weapons. They are of that world, but not part of it. That's how it's supposed to work. Dr. Wen says, of course, there are risks. WEN: But everything has risks. I mean, in my work as an ER doctor, there's no procedure that I can recommend, no medication that I can recommend, that doesn't come with a risk. CORNISH: And research shows Safe Streets does deliver. 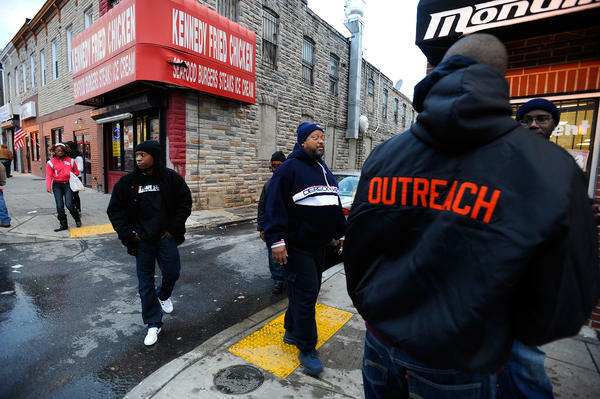 Last year, the health department says the program mediated 880 conflicts in Baltimore. Until recently, a couple of the sites hadn't seen a fatal shooting in more than a year. And now this stumble. UNIDENTIFIED REPORTER: Well, several Safe Street employees are now behind bars after a police raid turns up guns and drugs stashed in the East Baltimore facility. CORNISH: News reports about the raid featured Dr. Wen at police headquarters speaking to the press. She's flanked by officers and federal agents. 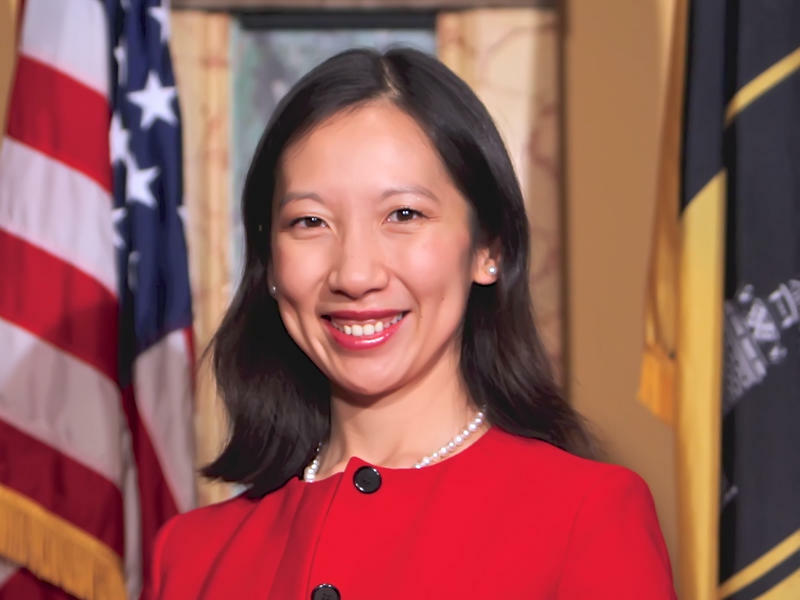 And instead of doing what she'd hoped to do this summer - announce the opening of a new Safe Streets site, perhaps in Freddie Gray's neighborhood - Dr. Wen announces she's shutting down the raided site temporarily while they figure out what went wrong. WEN: We stand united with the police department and our partners in reducing violence in the city and making Baltimore safe and healthy. CORNISH: Now, her words had been carefully chosen. She had strongly defended the program, but there's a hitch. She soon learns from her deputy Olivia Farrow that the Safe Streets staff were not happy. Here's what she told us when we saw her later that week. WEN: I actually felt really badly about it because what she said was that we - for lack of better words - messed up on the messaging. CORNISH: Part of the problem was the image. WEN: People were upset to see me standing with the police in the first place. And then to use the terminology of we're partnering with the police because the entire point of Safe Streets is that they are separate from the police and that in the mediation for conflicts, there has to be total trust. And we have potentially interfered with that relationship by standing with the police. CORNISH: So Leana Wen sets about trying to fix things. She calls a meeting with the Safe Streets site directors. And she brings in a guy from the Chicago program that was the model for Safe Streets. Brent Decker trained the Baltimore staff and swaps hugs with them as they walk in. BRENT DECKER: Well, I might as well just get my apartment back here in Baltimore. UNIDENTIFIED WOMAN: Might as well. CORNISH: They gather around the table, the Safe Streets workers in bright orange, their signature color, and talk about what went wrong and what they can do differently - more counseling, deeper background checks? UNIDENTIFIED MAN #4: We do background checks. UNIDENTIFIED MAN #6: ...Checks every month. CORNISH: Delaino Johnson says how about trying to get beat cops on board with what they're doing? DELAINO JOHNSON: And I have heard officers say program ain't nothing but this; it ain't nothing but that. You're hard this, hard that. We've got to get to these officers at roll call. Dr. Wen, if you can come and - anybody, let's go and talk to them and let them know what's happening. CORNISH: Dr. Wen is taking notes. But she's got something else on her mind, something she'd spoken to us about a few days earlier. WEN: Initially, when I was meeting with Safe Streets, I said what is the one thing that you think we should be helping you to address? What is the one type of support we can help you with? And I thought they were going to say, you know, trauma, debriefing, mental health support. They said child support. And I thought child support? How am I supposed to - first of all, why am I helping you with child support, but how am I helping you? And I didn't quite follow up on it and didn't understand it. CORNISH: Until now, at this meeting, when she asked the Safe Streets team to explain the problem. DANTE BARKSDALE: See, it looks like this. Most of these guys, they never had jobs before. Most of them come do this work, they're over 30. Most of them have children. CORNISH: This is Dante Barksdale. He explains when these guys get out of prison, they might owe upwards of $50,000 in child support. Now, some of them used to walk around with $20,000 or $30,000 in their pockets every day, drug money. But then they get the Safe Streets job and it pays $28,000 a year. Now, they're all right with that. It's a job after all. But in just a couple months, they go from being proud to discouraged. BARKSDALE: Let's just take Tez in East, for instance. CORNISH: That's one of the guys who was just arrested. BARKSDALE: When he first got the job, his mother was living with her sister. He got the job; they found a house. Rent was about $900. He was paying the rent. It's about 60 days later. He comes to me, says man, child support done came and took all my money. His check went from probably $800 every two weeks to about $100 and something. His mother got put out of her house. He was homeless, and he was having all these kind of issues. And I was watching him. He was going crazy, but there was really nothing I could do for him because he doesn't possess the skills to really work anywhere else. CORNISH: He has problems reading and writing, Barksdale says. BARKSDALE: But he was really good at doing mediation, so we see that a lot. And that translates through, like, all the sites. CORNISH: Dedra Layne, who oversees the program for the Health Department, proposes talking with the Bureau of Child Support Enforcement. DEDRA LAYNE: If they don't know that we're faced with this issue, they can't do anything. UNIDENTIFIED MAN #8: Put something back out there. LAYNE: So we should at least be having the conversation about are there any options to consider? Are there any things that we can put in place that would support the staff as they move through their first employment opportunities and still have families to manage? CORNISH: And yes, they are getting further and further away from what you might think of as public health. What started as a conversation about preventing violence has now wandered into the realm of child support law. But Dr. Wen pushes on. CORNISH: Heads nod around the table. They don't know if it'll work, but the sense is hey, it's worth looking into. Now, no one here would argue that child support isn't important. The guys we've been discussing - in a different story, we might be calling them deadbeat dads. But what do you do when you're deadbeat dad is someone who voluntarily puts himself in dangerous situations every day for the good of the neighborhood, wedging himself between people who literally want to kill each other? What you do when your deadbeat dad represents your hope for the city, if only he can stay on track? These are the questions that Leana Wen is wrestling with. And like so many other questions in Baltimore, there are no easy answers. CORNISH: And we'll be following up with Dr. Wen and her team in the coming months. If you missed our first piece in the series, you can find it at our website npr.org. Transcript provided by NPR, Copyright NPR. Teens and young adults who get seriously injured in an assault are nearly twice as likely as their peers to end up back in the emergency room for a violent injury within the next two years, a new University of Michigan Injury Center study finds. The researchers call this repeating pattern of violent injury a reoccurring disease, but their study also suggests potentially powerful opportunities to intervene in ways that could stop the cycle.